Inspiring and thought provoking, the book Wonderstruck by Brian Selznick seemed to embody the perfect themes to bring to The Meeting House community. It is a story of children finding their passions and following their dreams even when challenges present themselves combined with their demonstration of courage, problem solving and the ultimate rewards of friendship. This warm and artfully illustrated tale unfolds through two children discovering their place in the world and was indeed the perfect medium to build upon our core social-emotional values at TMH. With wonderful museums at our doorstep in New York City, what better resource to introduce to the kids as they envisage themselves as ‘curators’ of their own world. With story-boarding and planning, a visit from the author and a trip to the American Museum of Natural History itself, each child created their own box of wonder. There is something sacred and personal about each box, as it reveals the strength and character of its creator. Whether it is kept under a bed or on a shelf revered for display, these boxes are as unique as the ‘curators’ themselves. The multi-faceted approach to this project brought rich rewards. Inspired by our team of teachers, we created a workshop environment over a series of weeks, where students independently collaborated, shared tools, initiated conversation with one another and chatted freely as they worked. It was an environment that hummed with collaborative creativity, underscored by the bonds of friendship and the excitement of a shared purpose. Together our community experienced the clear manifestation of the benefits of the social and emotional approach that is at the heart of the Meeting House vision and mission. 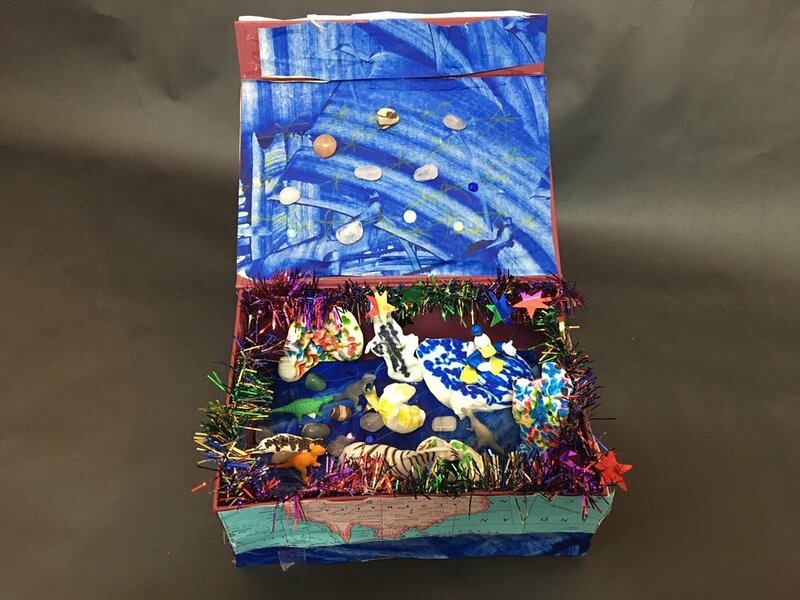 Click Here to see the complete Wonderstruck Gallery of Art by Meeting House Kids!